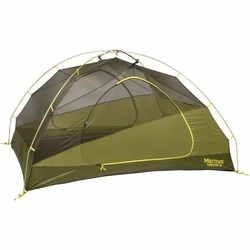 Marmot Tungsten 3P Tent. Maximum room, comfortable sleep — this backpackers' tent utilizes intelligent designs, durable fabrics and weather-enduring features, like taped seams, to create a more livable, functional tent that compliments life on the trail. Footprint included.